Masterful. A living, breathing theater for the ages. Another knockout from PETE and an early defining production of new 2014-15 season. 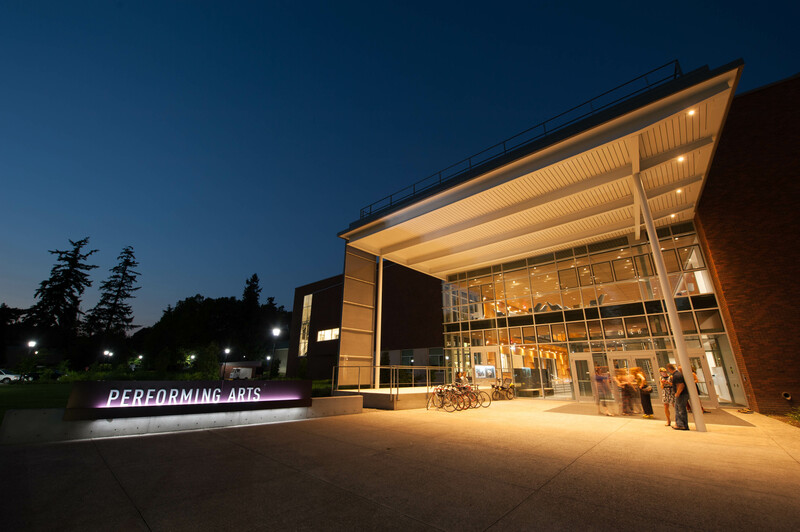 Classic under the radar, small space Portland theatre that c/should be headlining TBA:14. Outstanding ensemble and fresh translation give Chekhov’s characters clear trajectories. Immersive staging utterly transforms new Reed studio. Unmissable. Take a one day intensive Chekhov workshop with translator and director Stepan Simek on August 10. For the next two weeks, what’s going on inside is every bit as stunning as the outside. 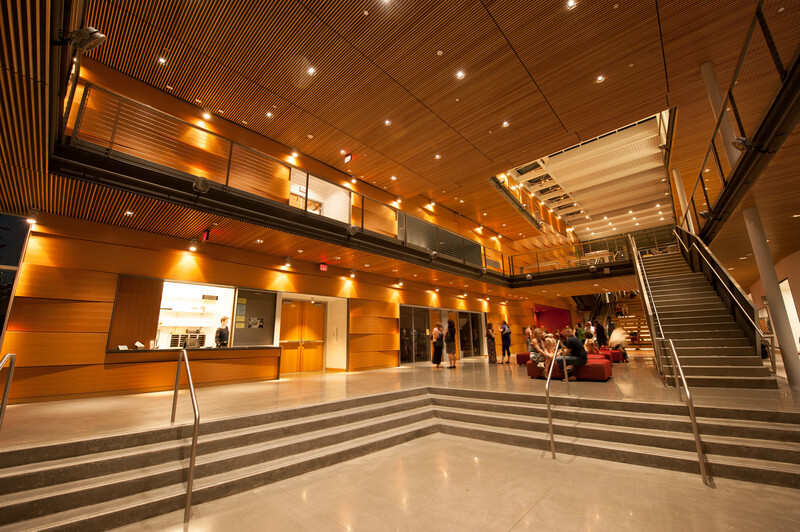 Interior of new Reed College Performing Arts Building.